This Just Happened: Help Wanted! Now Recruiting for The Gang of Harleys! SPOILER ALERT: If you have not read HARLEY QUINN #15 yet and do not wish to know what happens, stop reading this post now (major spoilers ahead!). In HARLEY QUINN #15, Harley is pushed to her limit after she realizes she can’t do everything. She can’t save the world on a daily basis AND be the model mother to her beasties. Moreover, how is Harley going to be a suitable girlfriend if she also has to tend to her nightly vigilante duties? There is just too much crime and too little time. Harley needs help. 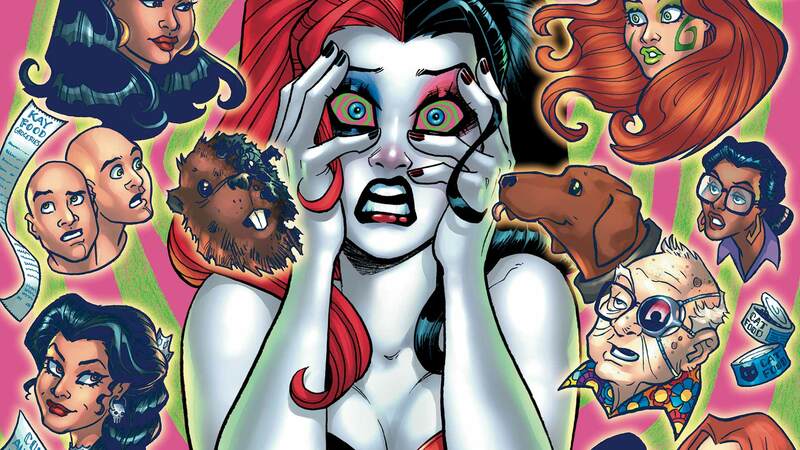 Accepting the fact that she needs the extra hands, see below as Harley and her long-time pal Poison Ivy publish a help-wanted ad for a group of assistants. Who will sign up? Will you? Sound off in the comments below! HARLEY QUINN #15, written by Amanda Conner and Jimmy Palmiotti and illustrated by Chad Hardin, is available in stores now.